It's a grey rainy morning here after a long do-nothing holiday weekend. The kind of day where you just want to pour an extra cup of coffee and snuggle in. Perhaps dig into a good book or pop a favourite friend into the DVD player and knit the day away. This day desperately needs something both colourful and snuggly, something that just can't be taken seriously to start the day on a high note. Pom poms (pom pons?) are clearly the cure for what ails you today! Or at least the cure for what ails me... but seriously, don't you want to feel your toes sink into that rug? 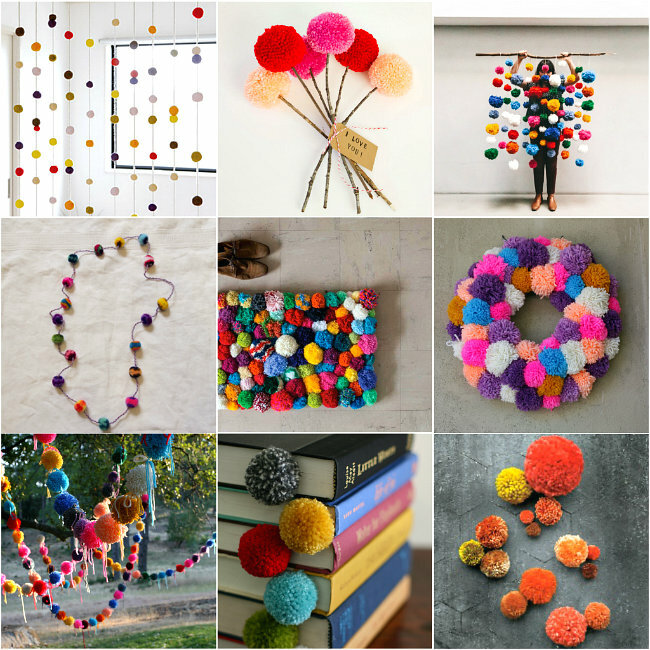 I love a good pom pom :-) Just bought myself a pom pom maker!